you own 100% bolt-on, and 100% duty cycle onboard air system. – All without drilling or making any modifications. Everything needed comes in one box for a professional & flawless installation. 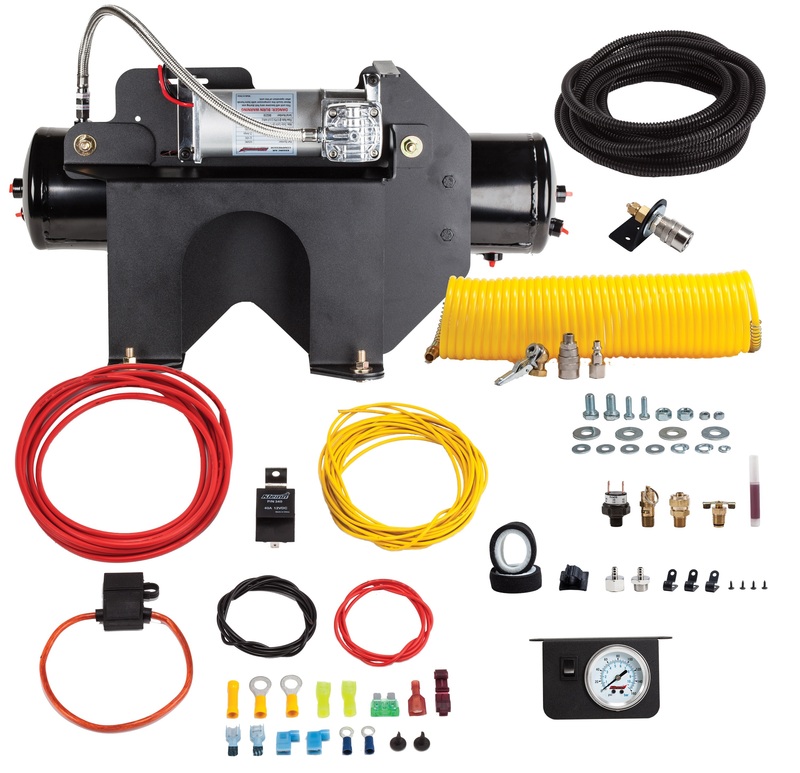 6350RC, 100% Duty, 150 PSI Vehicle-Specific Onboard Air System Bracket – Made in the USA! 3-Gallon Steel Air Tank with Cortec™ Interior Anti-Corrosion Coating – Made in the USA!